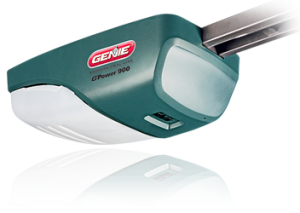 Size is often one of the most important factors in choosing garage door openers Glendale CA. However, you can’t rely on size alone when selecting a garage door opener. A single door made of a heavy material like solid wood may require more horsepower than a door made of lighter material like vinyl. Our inventory also includes direct drive, screw, chain, and belt openers. Which drive type you choose will depend on what is most important to you: reliability, quiet operation, cost, or aesthetics. While many aspects of your garage door opener fall into the out of sight, out of mind category, the remote isn’t one of them. You might be excited to get a multi-function remote that can also control your gate, or you might be satisfied with a simple one button remote. Some of the newest garage door openers have keypad access so you don’t necessarily need a remote at all. We’ll help you find the remote that offers the mix of features that’s best for you. You can come to Carroll Garage Doors with any kind of garage door opener problems you may have, whether they are related to the opener motor, the tracks, the remote, or any other feature. Our skilled technicians are able to service all kinds of openers and remotes and repair common problems. We can even offer you scheduled preventative maintenance to keep your opener system working better longer. This service would include safety inspections, battery replacements, and opener motor tuneups.